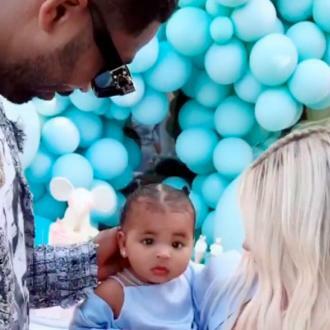 Khloe Kardashian refuses to ''put pressure on herself'' to lose the last 17 pounds after giving birth to her daughter True four months ago. Khloe Kardashian isn't ''putting pressure on herself'' to lose the last 17 pounds. The 'Keeping Up With The Kardashians' star set a goal to shed a certain number of pounds after she gave birth to her daughter True four months ago and admits she is finding it increasingly difficult now she is ''plateauing''. Meanwhile, the 34-year-old television personality loved being ''active'' throughout her pregnancy.